Looking for a good furniture removalist can somewhat be a time consuming affair. Brisbane Removals and Storage servicing Darra, Richlands, and the Brisbane city provides professional furniture removals and quality service. 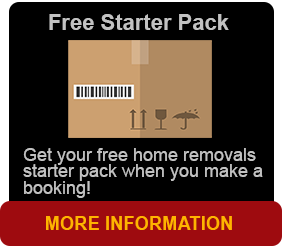 So, if you are looking for a competent furniture removalist for furniture removals in Brisbane to give you a hassle-free, professional relocation anywhere in Australia and beyond, with short, medium or long-term storage if needed, you have to call us at Brisbane Removals and Storage. 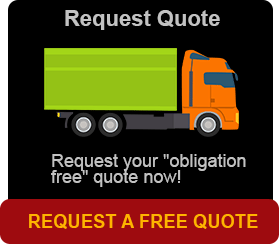 No other furniture removals company in Brisbane combines a fleet that includes removalists vans, container trucks and access to large haulage vehicles, with friendly and personalised service that only comes from a highly motivated furniture removals company, complimenting satisfaction to all our current and previous customers. At Brisbane Removals and Storage, no relocation is either too big or too small. Whether you’re moving to a new town, or just around the corner – whether you’re moving a small family, a huge office, we have the answers for you. We have always specialised in local and county relocations, office relocations, and long, medium and short term storage with shipping containers. Our philosophy at Brisbane Removals and Storage is that the world is expanding all the time, just as we are expanding to meet it. We are now, serving a much greater area than ever before and this changes monthly and is getting much larger. Our services now include everything needed to reduce the level of stress like looking after their utilities and insurances and other services to help our customers out. Our customers experience during the traumatic business of moving is reduced greatly now. As well as having a packing service, we can pack and unpack putting everything in the right place for you. Our main objective is to safely transport and store your goods. We can even organise a house cleaner and carpet cleaner to save you time and even a gardener to finish making sure your property where you are moving from is very tidy. When you request furniture removals from Brisbane Removals and Storage, we commence with a complete assessment and discussion with all aspects of moving day. 16 years’ experience in the removals and storage game stand out and we will help you tick the boxes, including the boxes you didn’t know you had. We can also supply to you all the packing materials tapes and boxes you’ll need to prepare for your relocation. When it’s time for the move itself, our friendly staff at Brisbane Removals and Storage will move swiftly into action. Our furniture removals and storage services is second to none packed with removal blankets can provide comprehensive or transit insurance where needed. For a free appraisal and quote call us now!